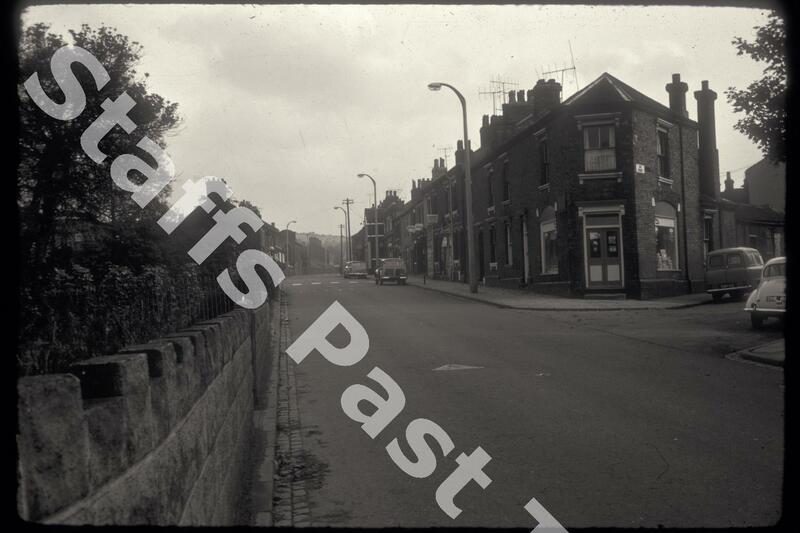 Description:The camera is looking eastwards along Werrington Road with Guy Street off to the right. 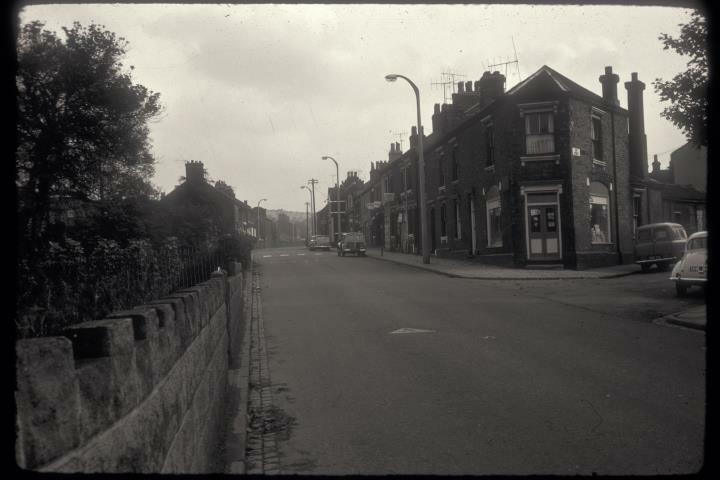 Guy Street was known as New Street until the 1950s renaming. The houses and shops on the right date from the end of the 1800s. In the centre of the photograph, on the left hand side of the road is the Townsend Chapel, at the corner of Chapel Street.